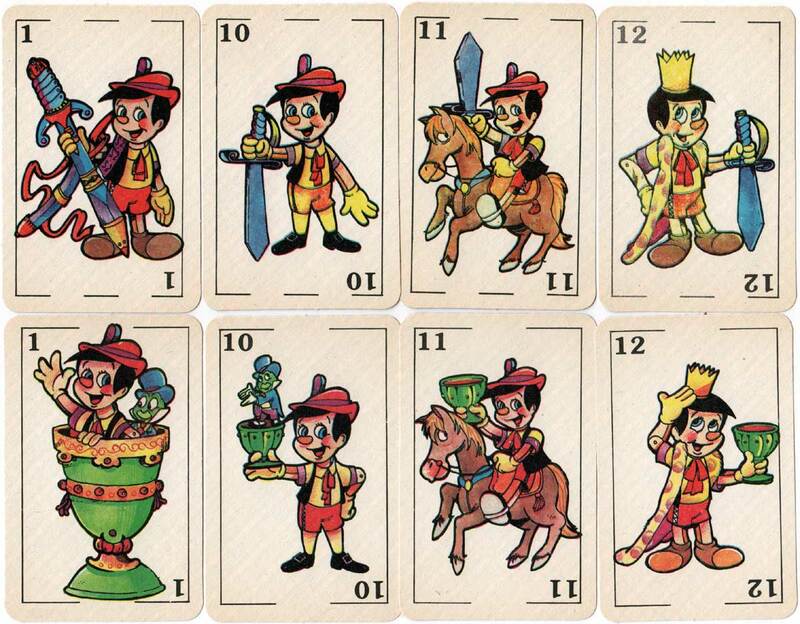 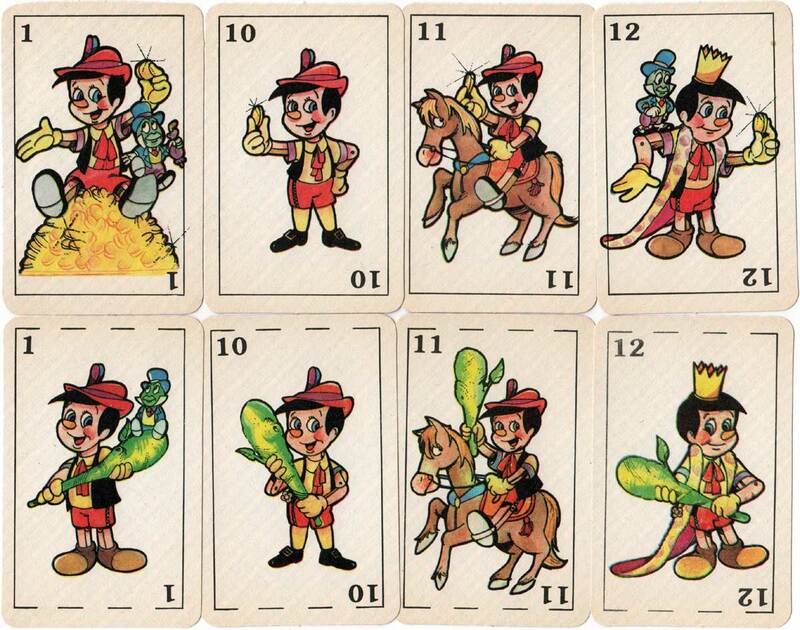 Above: Pinocho children’s playing cards published by Editorial Gráfica Flores c.1975. 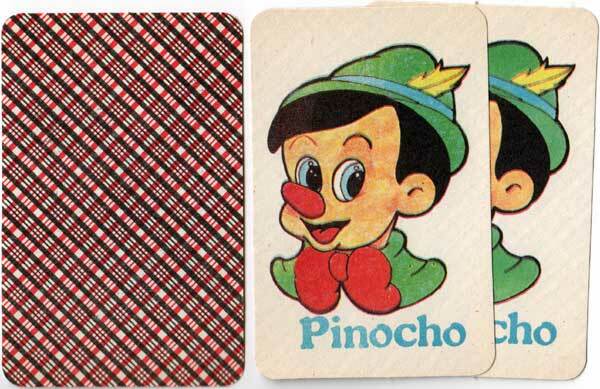 48 cards + 2 jokers in box. 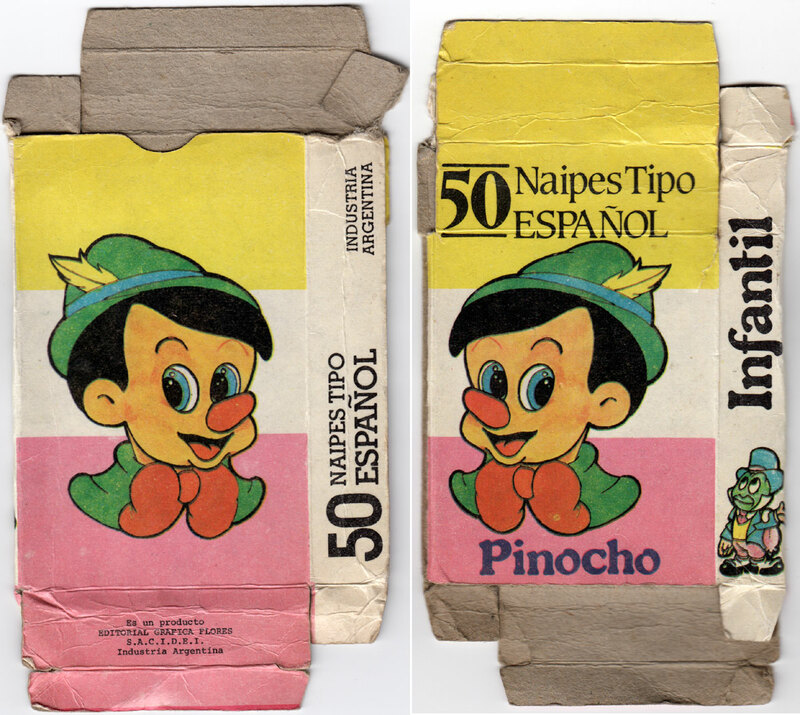 Reverse: black/red cross-hatch.